Just after 5:30 p.m. today, West Hollywood Sheriff’s deputies and the Los Angeles County Fire Department responded to a two-vehicle collision at the intersection of Fountain Avenue and Havenhurst Drive. The first responders arrived to find car parts scattered across Havenhurst including a vehicle bumper on the sidewalk. It was unclear if there were any injuries and West Hollywood Sheriff ‘s deputies are handling the investigation. 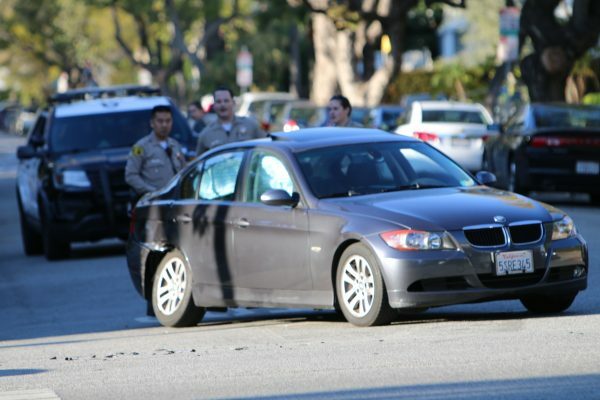 This is the second traffic collision to occur at this intersection this week. North and southbound traffic on Havenhurst is barred from making left \ from 6 to 10 a.m. and again from 3 to 7 p.m. to reduce the possibility of collisions.